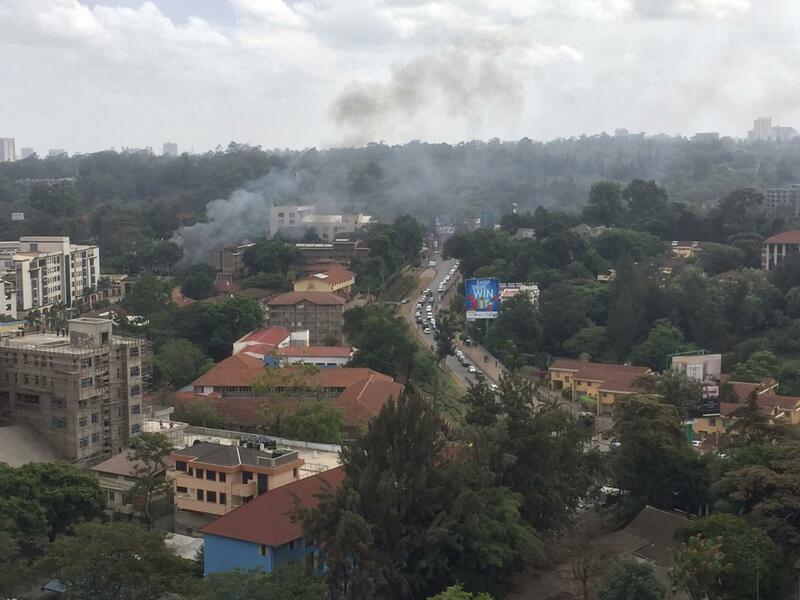 NAIROBI – An explosion followed by heavy gunfire has been reported at 14 Riverside in Westlands, Nairobi, Citizen TV reports. Unconfirmed reports indicate there was an explosion outside one of the buildings before gunshots filled the air at around 3PM, East Africa time. A picture of a car on fire is circulating online and heavy smoke can be seen billowing from the area. Nairobi police commander Philip Ndolo told Reuters they had cordoned off the area around Riverside Drive, where the dusitD2 hotel is located, due to a suspected robbery. But police are not ruling out a militant attack, police spokesman Charles Owino told Citizen Television. “We have to go for the highest incident that could take place. The highest incident we have is a terror (attack),” he said.